We enjoy browsing YouTube or other websites and watching music videos online. Live music, broadcast, even talkshows and live FM. That would be perfect if we can record those online music or shows down to local and import to iPhone or iPod. Is that possible to record system audio on Mac like the system audio recorder working on Windows PC? How Mac record system audio and how it help us with creating our own albums. We are going to introduce you 2 ways to record all the audios you want easily. You may already found the screen recording function on QuickTime and use it as a video recorder. Can it also record system audio Mac? Sure! The QuickTime Player on Mac is much more powerful than its Windows version. Recording system audio is not a big deal. All you need is to install Soundflower first. 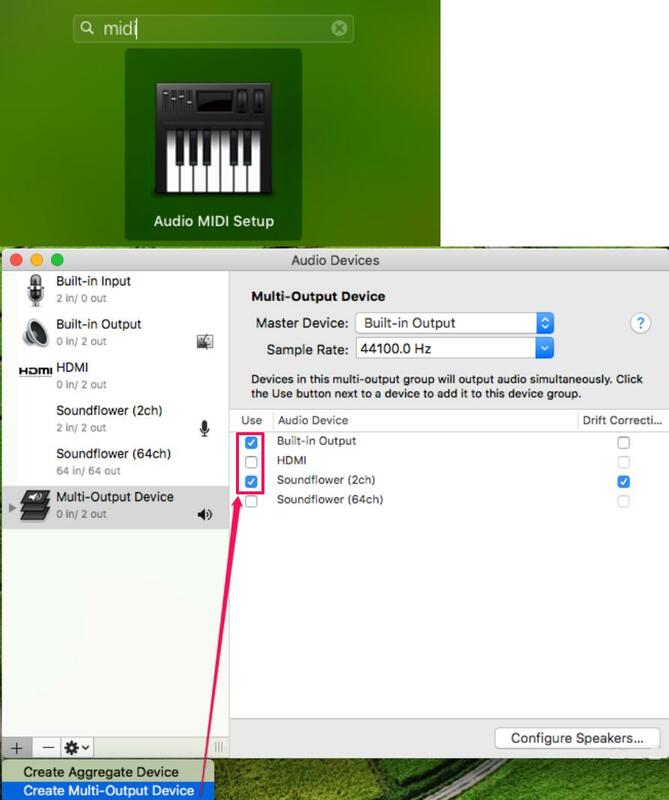 Follow us and check how to record system audio by QuickTime with Soundflower. Download and open the Soundflower install package. If you already installed an old version, click "Uninstall Soundflower.scpt" to clean it first before you install. Mount the DMG and install Soundflower, then reboot the Mac to complete installation. Under the Codecs tab, you need to select output audio codec and output audio format container. You could even adjust the audio parameters including Sample Rate, Mode, Encoding Mode, Bitrate, etc. If you want to save recordings to WAV format, select WAV on the drop-down panel. Pull down the Apple menu and open "System Preferences", then go to "Sound". 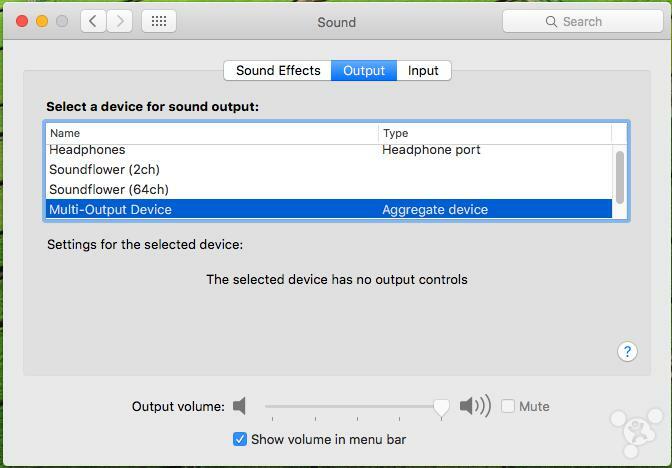 Under "Output" select "Multi-Output Device". (For testing purposes, adjust this later for your own needs on a per application basis.) 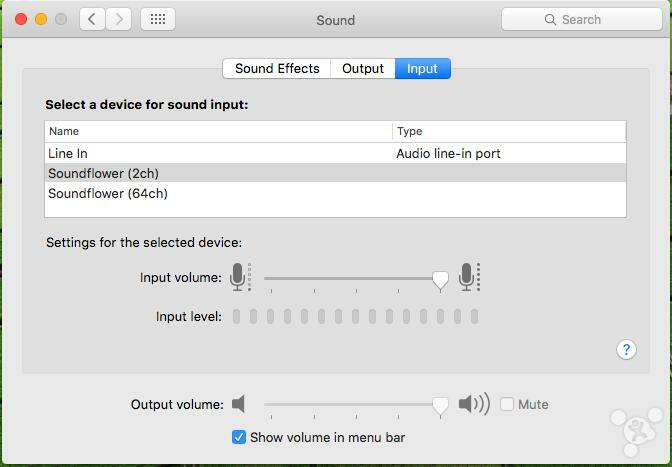 If you choose "Soundflower (2ch)" only, the audio will be output to QuickTime when you record the audio but you cannot hear any voice from speaker. Next, under "Input" tab, select "Soundflower (2ch)"
Run QuickTime Player and chick "File – New Audio Recording". Click the down-arrow and select the Microphone as "Soundflower (2ch)". And click on the record button before you start to play your music video. Click "Stop" button once you finish the audio recording. Then you can preview the untitled music audio and click "file – save" to rename and save the file to local folder. Now, the system audio on Mac would be saved in M4A file format. You could go to the directory to open and view the recorded system audio files on Mac computer. 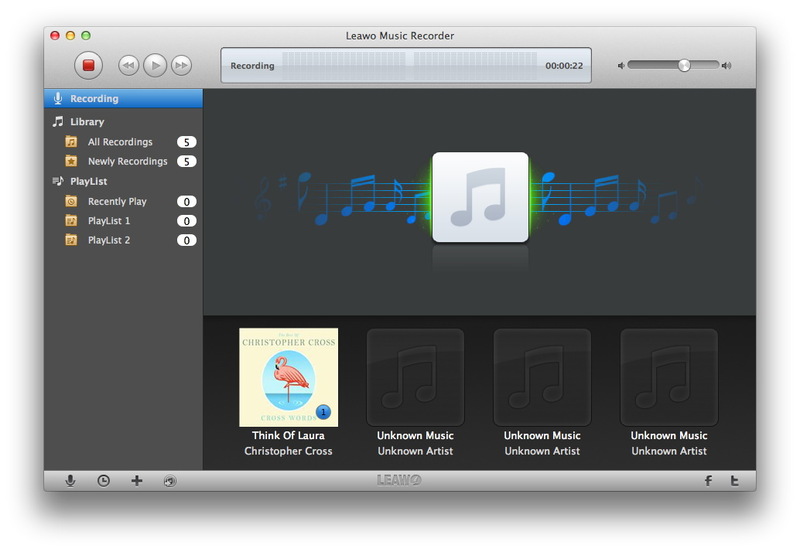 Leawo Music Recorder for Mac is a functional app for Mac OS X that allows you to convert your Macbook into a recording machine, taking inputs from any connected devices, the built-in microphone, or even the system audio. It provides easy-to-use and useful solution for Mac users to record music and manage the music files smartly. It’s actually quite an easy job for you to realize the dream to record music from any online media. 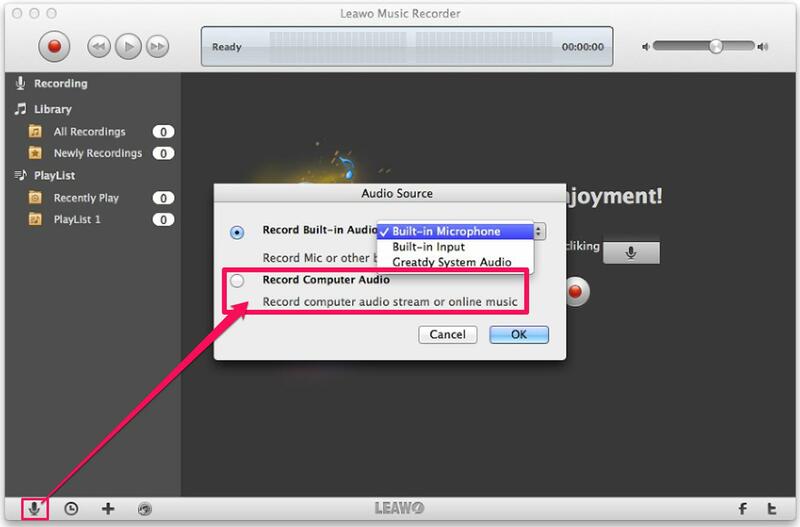 How to Record System Audio on Mac with Leawo Music Recorder for Mac? 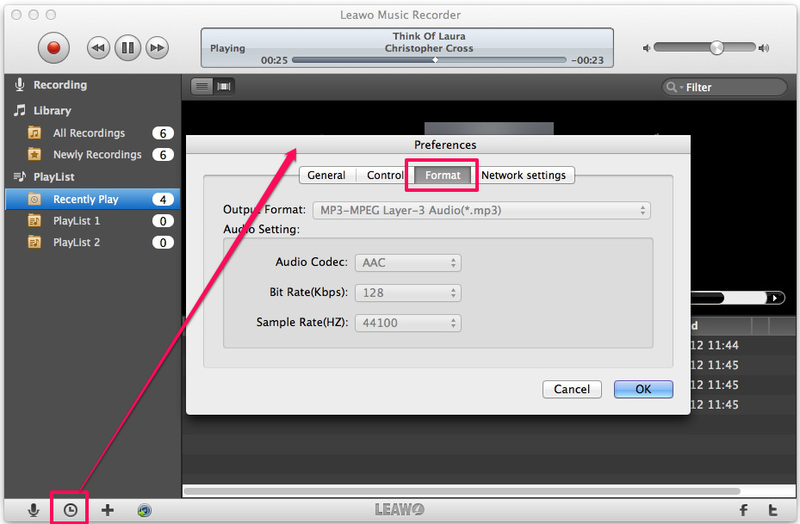 You need to download and install Leawo Music Recorder for Mac on your computer. Then launch it for recording. You should prepare your system audio files beforehand for recording as well. Click the mic icon on the bottom left corner and choose "Record Computer Audio" option since you need to record system audio files. Click the Clock icon on the left bottom, go to format panel and choose the output format. You can pick M4A, MP3 or MAV as you need. Then adjust the audio codec, bit rate and sample rate for the target file. And you can click on "General" to select the output folder for the audios. 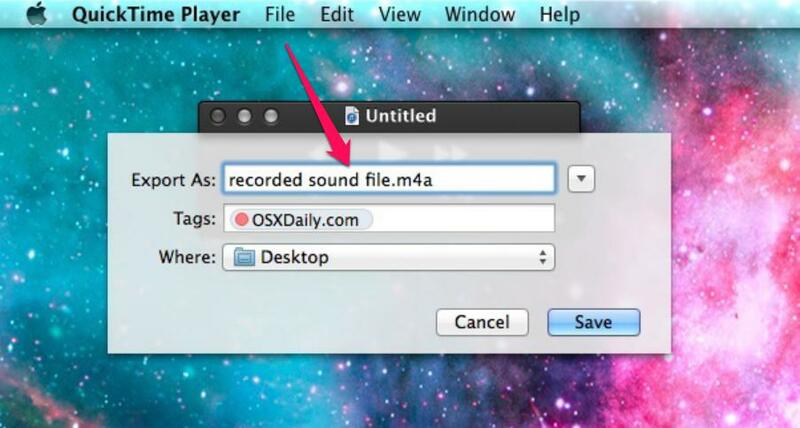 Click the record icon, it will be ready for record sounds from Mac. Once you play the online resource or local file, Leawo Music Recorder will start recording process automatically till you click the stop button. If you are recording a song, it will download the match music tag and album picture for it. Go to the library, all your recorded songs will list there. Right click on the song and choose "Edit Music Tags" to input the music information manually. 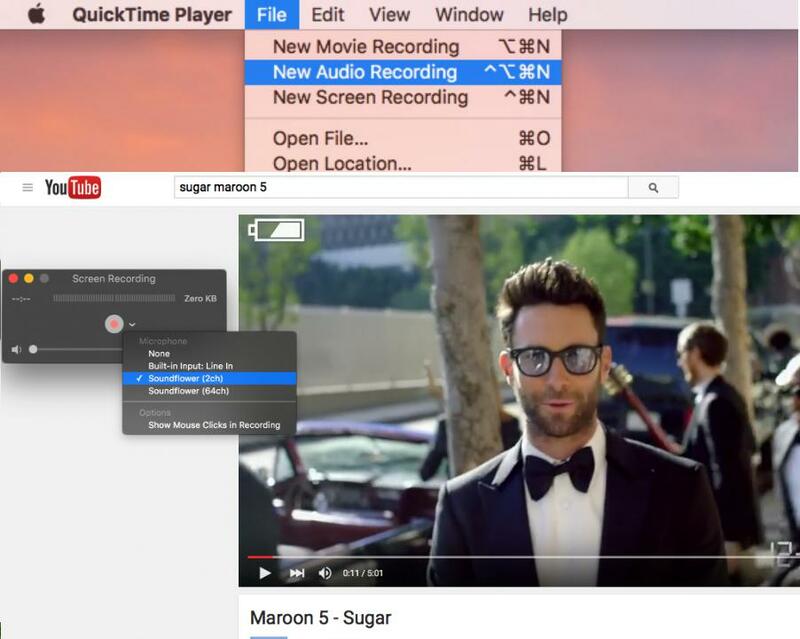 QuickTime Player and Leawo Music Recorder provide you feasible alternatives to help you with recording system audio on Mac. QuickTime needs an extra app named Soundflower to enable the multi-output playback device. 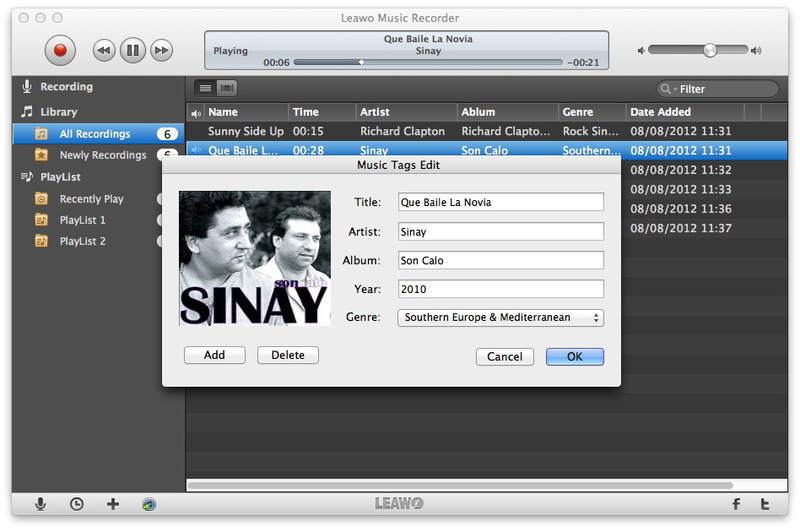 Leawo Music Recorder is a ready-to-use software and lets you edit the music tags in details. It is more customizable and easy to use so do not miss Leawo Music Recorder and start to make your own music series.